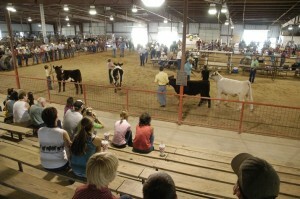 Stock show for Gillesipe County youth to exhibit and sell their 4H and FFA animal projects. Friday 8am to 10 pm; Saturday 11 am to 7 pm at the Gillespie County Fairgrounds, on Highway 16 South. Reserve and Grand Champions named Friday evening. Call 830-997-2359 for more information. I don’t have any pictures of the stock show, besides this one taken a few years ago. Sorry.